Cherish the life of those pets who spent years walking down our garden pathway over pebbles and stones and into the backyard they perceived as vast and exciting. 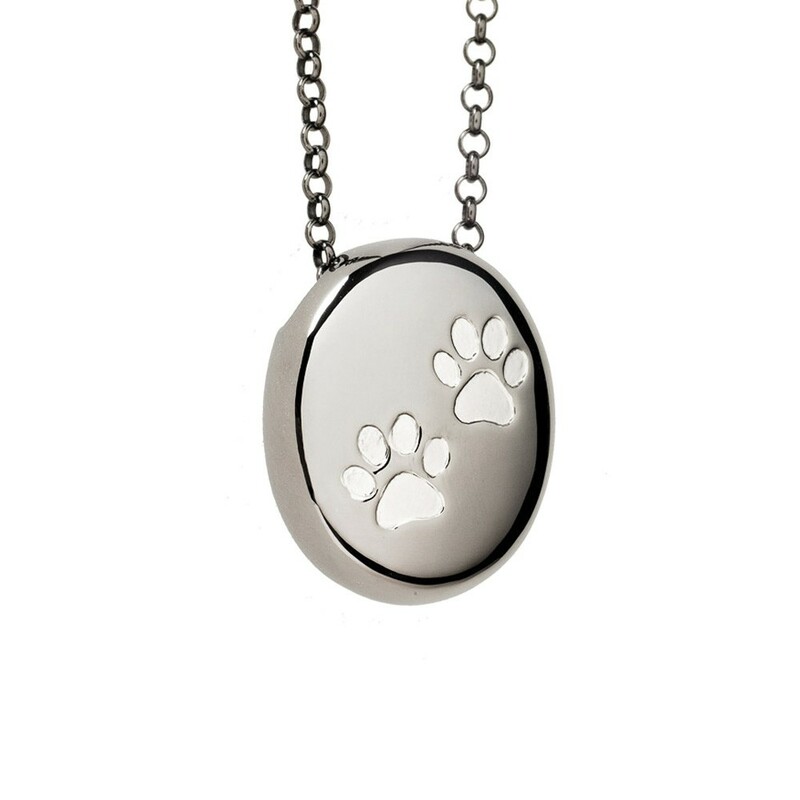 Wear this symbol, now in Black Rhodium as a sweet reminder of those animals who have touched hearts and left heartwarming memories. 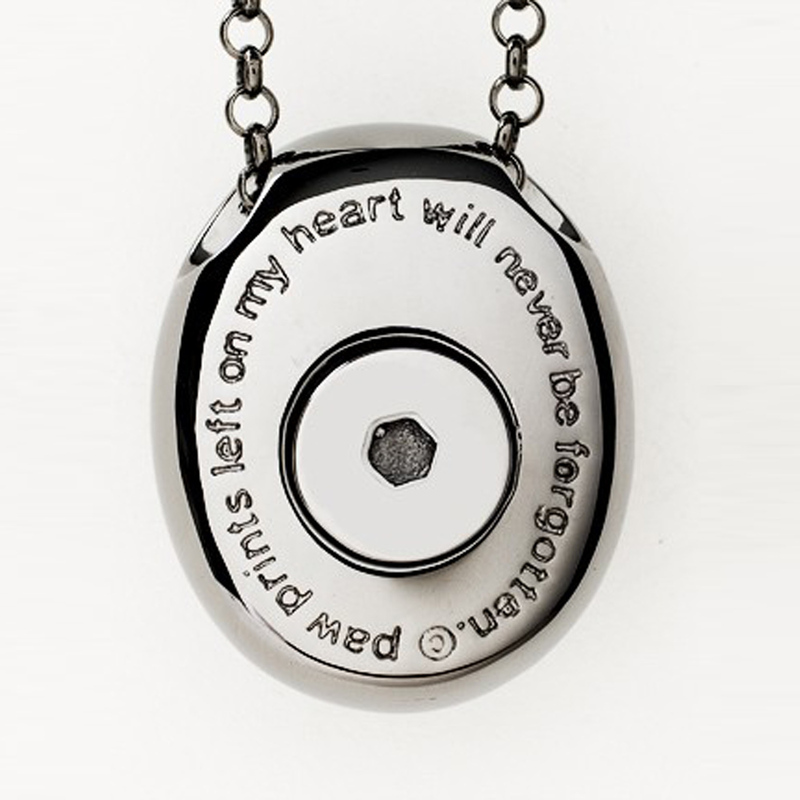 "We just received the pendant....and oh my gosh is it just beautiful. The engraving could not be better. The size and weight of the brushed silver pendant is even more wonderful that we have ever thought it could be. You have made a huge difference by this little act of kindness."